Directorate Of Health & Family Welfare Punjab Recruitment 2016, In the Directorate Of Health & Family Welfare Punjab Recruitment 2016, Current Govt. Jobs for Medical Officer at the Directorate Of Health & Family Welfare Punjab Recruitment 2016. Directorate Of Health & Family Welfare Punjab Recruitment 2016 Medical Officer Posts November 2016, Directorate Of Health & Family Welfare Punjab Recruitment 2016 have been decided to recruit Medical Officer Posts Advertisement Date 24th November 2016. Important Dates which candidate should remember when applying Directorate Of Health & Family Welfare Punjab Recruitment 2016 as follows. Probably you are waiting for this Directorate Of Health & Family Welfare Punjab Recruitment 2016 Notification you can apply online Directorate Of Health & Family Welfare Punjab Recruitment 2016 posts Medical Officer. For the post of Medical Officer – Indian. Now the question is who can apply the Directorate Of Health & Family Welfare Punjab Recruitment 2016 Job, -Well those are planning to apply for this / these Medical Officer Posts should have the following minimum eligibility criteria. Also Check the Advertisement Details. M.B.B.S. Degree and holding a Post Graduate degree in requisite specialty, recognized by the Medical Council of India. Registered with the Punjab Medical Council or with any other duly constituted Medical Council in India. Knowledge of Punjabi Language up to Matriculation Standard. Candidates who do not possess this qualification shall have to acquire this qualification within six month of their joining the service failing which their services shall be terminated. In case of Defense Service Personnel, which is a bona fide resident of Punjab State, he shall have to pass such an examination within a period of two years from the date of his appointment. Reservation will be as per applicable rules and Punjab Government Policy Guidelines. It shall include candidate of: SC, SC (Vimukt Jati), BC, ExServicemen, Handicapped Persons, Freedom Fighter and Sportspersons, Categories. Fresh Lineal Descendant Certificate duly issued by the concerned District Ex-Serviceman Welfare Officer, for this post. The requisite certificate issued by the Deputy Commissioner of the concerned district as per the instructions of the Punjab Govt. The certificate regarding gradation issued by the Director, Sports Department, Punjab. >> HOW TO APPLY ONLINE DIRECTORATE OF HEALTH & FAMILY WELFARE PUNJAB RECRUITMENT 2016 ? Auditorium ,State Institute of Health & Family Welfare Complex, Near Civil Hospital, Phase-VI, Ajitgarh,(Mohali). The Interested candidates who are going to apply Directorate Of Health & Family Welfare Punjab Recruitment their selection process will be based on Interview. Directorate of Health & Family Welfare Punjab Recruitment 2016, In the Directorate of Health & Family Welfare Punjab Recruitment 2016, Current Govt. Jobs for Medical Officer (Specialists) at the Directorate of Health & Family Welfare Punjab Recruitment 2016. Directorate of Health & Family Welfare Punjab Recruitment 2016 Medical Officer (Specialists) Posts September 2016, Directorate of Health & Family Welfare Punjab Recruitment 2016 have been decided to recruit Medical Officer (Specialists) Posts Advertisement Date 30th September 2016. Probably you are waiting for this Directorate of Health & Family Welfare Punjab Recruitment 2016 Notification you can apply online Directorate of Health & Family Welfare Punjab Recruitment 2016 posts Medical Officer (Specialists). For the post of Medical Officer (Specialists) – Indian. Now the question is who can apply the Directorate of Health & Family Welfare Punjab Recruitment 2016 Job, -Well those are planning to apply for this / these Medical Officer (Specialists) Posts should have the following minimum eligibility criteria. Also check the advertisement details. 1. Medical Officer (Specialists) 1. M.B.B.S. Degree and holding a Post Graduate degree in requisite specialty, recognized by the Medical Council of India. Between 18 and 37 years as on 1st Jan., 2016. The interested candidates who are going to apply Directorate of Health & Family Welfare Punjab Recruitment their selection process will be based on Personal Interview. Directorate of Health & Family Welfare Punjab Recruitment 2016 Medical Officer Posts August 2016, Directorate of Health & Family Welfare Punjab Recruitment 2016 have been decided to recruit Medical Officer Posts Advertisement Date 18th August 2016. Probably you are waiting for this Directorate of Health & Family Welfare Punjab Recruitment 2016 Notification you can apply Directorate of Health & Family Welfare Punjab Recruitment 2016 posts Medical Officer. Specialty wise no. of Vacant Posts. Category wise detail of Vacant Posts. 1. Medical Officer (Specialists) (I) M.B.B.S. Degree and holding a Post Graduate degree in requisite specialty, recognized by the Medical Council of India. (II) Registered with the Punjab Medical Council or with any other duly constituted Medical Council in India. (I) Educational qualification must be from a recognized University/ Board as per details mentioned above. (II) The Candidate must have attained requisite qualification before the date of walk in interview. (III) Knowledge of Punjabi Language up to Matriculation Standard. Candidates who do not possess this qualification shall have to acquire this qualification within six month of their joining the service failing which their services shall be terminated. In case of Defense Service Personnel, which is a bona fide resident of Punjab State, he shall have to pass such an examination within a period of two years from the date of his appointment. Reservation will be as per applicable rules and Punjab Government Policy Guidelines. It shall include candidate of: SC, SC (Vimukt Jati), BC, Ex- Servicemen, Handicapped Persons, Freedom Fighter and Sports persons, Categories. Candidates appearing before the interview selection committee under the above mentioned 4 categories should come with their original certificates on the day of interview. It is mandatory for all candidates to bring their all original certificates at the time of interview without which, such candidates will not be interviewed. No TA/DA will be paid for the journey performed for the interview etc. 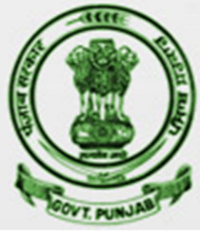 Only those Government employees shall be eligible to be issued appointment letters who are certified by the Head of the Department as not having any pending disciplinary proceedings or undergoing punishment under Punjab Civil Services (Punishment & Appeal) Rules, 1970, or any other applicable rules, as the case may be, not undergoing any trial/ prosecution or any other material disqualification in terms of integrity and professional misconduct and necessary NOC should be obtained from the Head of the Department concerned. Candidates must bring attempt certificate of MBBS and MD/MS etc. If a candidate will not bring attempt certificate of MBBS he/she will be marked 3rd attempt and 4 marks will be deducted from his MBBS marks. If a candidate will not bring attempt certificate of MD/MS etc. he/she will be marked 3rd attempt and 20 marks will be deducted from his Post Graduation (MD/MS etc.) marks. Candidate which will not bring his original documents will not be interviewed. Experience after MD/MS or Post Graduation will be considered. >> HOW TO APPLY ? The Eligible candidates must have to need their relevant documents & Candidates should download the following application format and bring with duly filled application along with the self attested photocopies of each documents mailed through E-mail at nrc.dhspunjab@gmail.com on or before 30.08.2016. Eligible applicants should personally attend the Walk in Interview to be held on 03-09-2016 at 10:00 AM at the above said venue. Candidates are also advised to bring with them their Original Certificates, an application on prescribed Proforma, two Passport Size Photographs at the time of interview.